For the first time since 1958, a passenger train excursion made its way through Pike County, KY, going from Grundy Va. to Devon Wv. The excursion is part of Norfolk Southern’s “21st Century Steam Program” and was operated by the Tennessee Valley Railroad Museum. Departing from Grundy, Virgina, this passenger train excursion traveled through the rugged and beautiful backwoods of Appalachia. Powered by a former Southern Railway 630 steam locomotive with diesel assistance, this historic train excursion proved to be a great success, with more than 3900 tickets sold. We at Pike County Tourism CVB wanted to share with you some of the memories our train excursion ride patrons captured in photograph. Rob Bolson was nice enough to share with us some of his photos from the train excursion, take a look. Many people do not realize that there are a variety of Hatfield McCoy feud sites still available and open to the public. The Hatfield and McCoy feud has left it’s mark on American history, and with the advent of the “Hatfields & McCoys” miniseries, interest in feud history has exploded. Visitors from across the world have traveled to Pike County, Kentucky, to experience the feud for themselves, visiting the famous Hog Trial Cabin, the pawpaw shooting site, Randolph McCoy’s property, the courthouse where the Hatfields were put on trail, Aunt Betty’s house and the site where “Cottontop” was hanged. While visiting the grave sites of Randolph, Sally and Roseanna McCoy, or “Devil Anse” and Johnse Hatfield, guest become personally acquainted with the personalities of this tragic history that has become American legend. 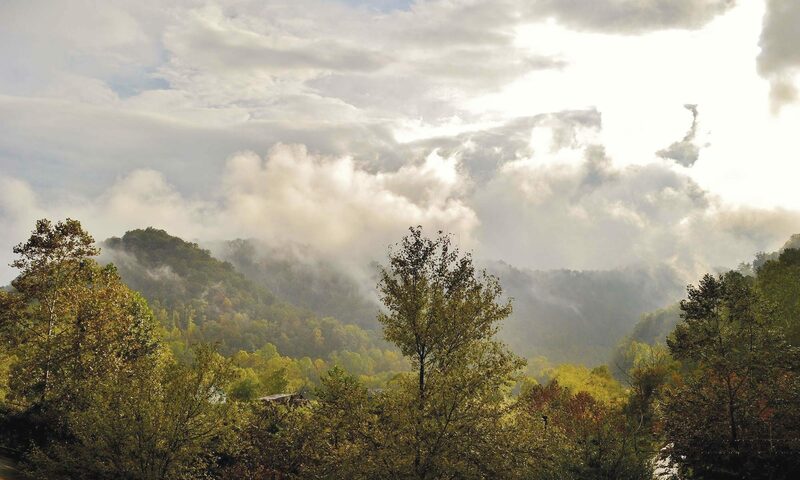 The Hatfield-McCoy Driving Tour is a self-guided tour, which includes all of the feud sites of both Kentucky and West Virginia. Guests are provided a free Hatfield and McCoy Driving Tour brochure, which provides detailed step-by-step directions to each historic feud site, beginning at the Pike County Tourism CVB visitor’s office. An optional Hatfield-McCoy Driving Tour CD is available for purchase below and in our store. The audio CD serves as a tour guide for the feud sites, and offers professional voice talent and music, which spices up the already wonderful tour. Hatfield-McCoy Driving Tour Audio CD Go on a self-guided adventure through the territory of the Hatfields & McCoys, and see the places where the actual feuding took place. The Hatfield-McCoy Driving Tour Audio CD is provides voice actors, music and a tour guide for each site. Order your Audio CD today. Booking with Pikeville Hotels includes all the amenities you could expect from top quality lodging. Each hotel is conveniently located within close proximity to many local attractions. See below for what each hotel offers. The Landmark Inn 102 Rooms – outside pool, meeting area, high speed internet, wireless internet, laundry facilities, restaurant, lounge and entertainment. Hatfield & McCoy Lodge at the Riverside 55 Rooms.